In the life of every home, repairs happen. It’s one of those things that every homeowner must face. 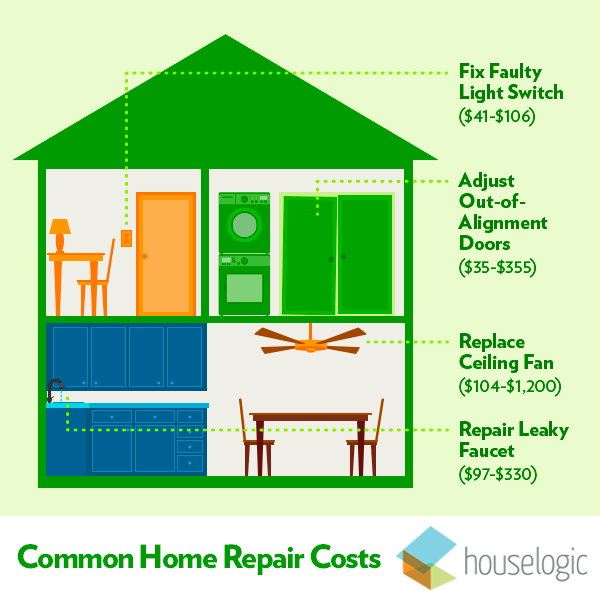 Here are some of the most common repairs that, sooner or later, your house will require and the basic home repair costs for each. For detailed costs, supplies and tips needed to repairs these, read more.